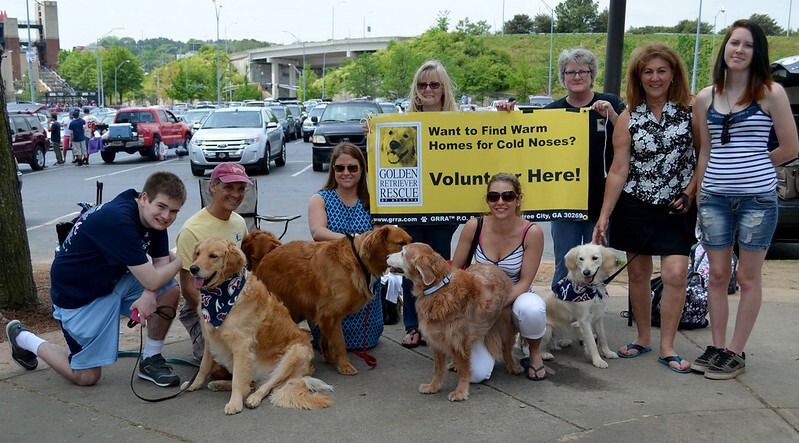 Interested in volunteering in the process of rescuing, fostering, and helping our loving Goldens get adopted by a warm, loving family? Then read on! Become part of our all-volunteer 'pack' of dog-lovers who believe that dogs make people healthier and happier, and are partial to the beautiful, loving Golden Retriever a perennial top pick for the perfect family dog — for good reason! Even if you haven't much time to spare, there is a place for you. Volunteering an hour or two each month or week, will make a difference for the dogs. To many of us at GRRA, this is the most fulfilling volunteer activity we've been involved with. Considering fostering? 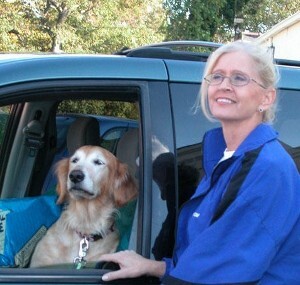 GRRA always has a constant stream of Goldens awaiting entry into the program. These dogs need your help to get out of some really, really bad or abusive situations, get some love and assurance, and be readied for adoption. We cover all vet costs and provide volunteer training so that you will have the skills to give these helpless dogs a second chance to be the loving pets we've known for generations. 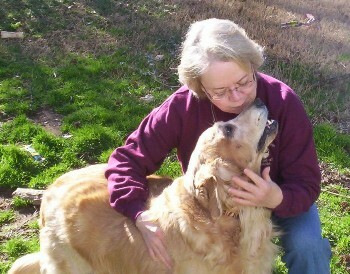 The moment they met I knew Zoey, a very special three-legged Golden, had found her forever home: she and her new Mom melted together right inside my front door. Love at first sight! 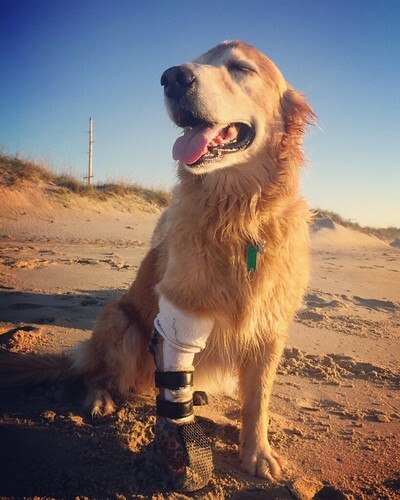 Even better, Zoey's forever Mom took her to Animal Ortho-Care and had her fitted with a prosthetic. Watching Zoey bounding along with her new Golden buddies on all fours was astounding — pure joy! Watching the transition of a dog so abused that she wouldn't go through a doorway if you were near her, to become a wonderful, loving family pet is so rewarding. Seeing Isabel's tail wag when you come home; getting a lick right after you look into her eyes. You know you've done a good, good thing. One person called GRRA to say that their neighbor had moved out yesterday and left the dog chained in the side yard. Really. The moving van had come and gone. No dog deserves that. After a month or so of loving, and a couple of vet visits, Levi was one of the most appreciative, loving dogs that we found a home for. Ready to help a dog in need? Ready to open the flood gates of love and happy tails? Click below to learn more about volunteer opportunities at GRRA. We look forward to you joining the pack!